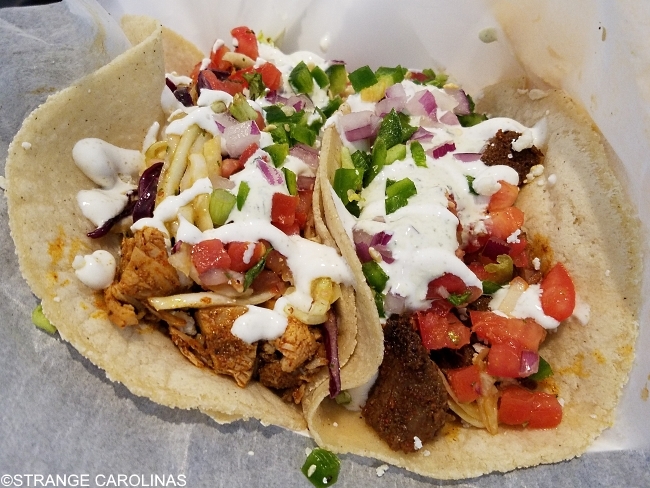 In September, Burrito Shak defeated sixty-three other taco restaurants and food trucks to claim the title of Best Taco In North Carolina in our Strange Carolinas North Carolina Taco Tournament. We finally made our way down to Hampstead on Friday to present owners David and Kara Longo a plaque and to try the Best Taco in NC. Burrito Shak is perfect for a quick bite. You go through the line and they create made-to-order tacos, burritos, and nachos in front of you. But what sets them apart from restaurants with similar setups is their choice of ingredients like sweet chili slaw and cotija cheese. We ordered two Jolly Roger tacos, which come with choice of choice of protein, cotija cheese, sweet chili slaw, pico de gallo, lime sour cream, and poblano crema. We could have opted for pork, ground beef, North Atlantic cod, or tofu, but we had one chicken and one carne asada and also had them add onions and fresh jalapenos to the tacos. The tacos were fresh and delicious. The chips and salsa bar were top-notch. 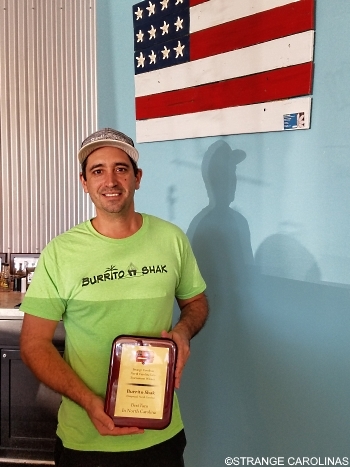 We loved the food at Burrito Shak and were very happy that they took home the crown of Best Taco In North Carolina. The Longos are a very sweet and nice couple who care about their customers. We highly recommend Burrito Shak! Burrito Shak is located at 15489 US Highway 17 North in Hampstead. 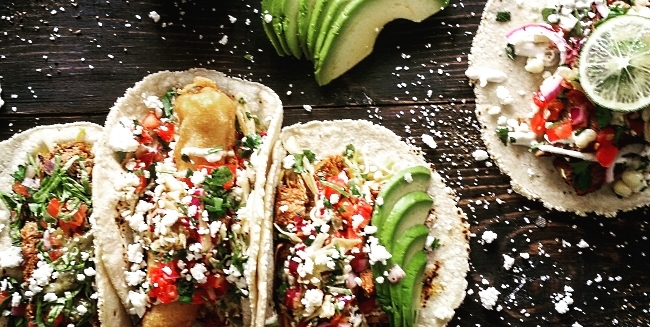 In addition to winning our North Carolina Taco Tournament, the reviewer at SALT Magazine called the Burrito Shak North Atlantic Cod taco "the best fish taco I've ever eaten."